When it comes to VR, a natural field of view (FOV) plays a huge role. After experiencing such a wide FOV for the first time with the Pimax 8K VR headset all other headsets feel like watching things through a hole. It was expected that this could be achieved only with the next generation of VR and Pimax is certainly a forerunner. The SLR team have tested 360° and 180º VR videos in highest 6K and 5K resolutions on the Pimax 5K and 5K Plus. They also tested the 8K headset, but did not get a chance to play videos on it. It actually up-scales 5K input. 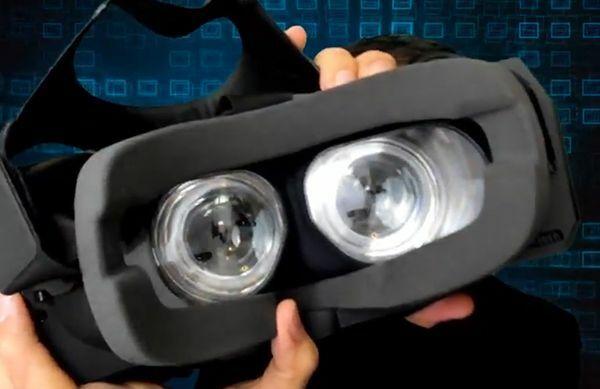 A large FOV headset challenges the whole concept of 180°VR, which mostly consists of great image quality in the center and a limited FOV (which is actually lower – around 160° from most producers). Within the Pimax FOV you simply can see left and right edges, and a slight movement totally shifts you out of the video’s FOV. Immersion is immediately lost. Basically, 180° VR videos won’t be relevant for the next generation of headsets. This is something content producers need to be aware of. For example, StasyQVR’s 360° VR videos look awesome. You enjoy immersion with every turn of your head. With a bigger FOV only a slight movement is required to see things from behind, just like in real life. Basically, videos need to employ higher end specs to be compatible with the next generation of headsets. Great FOV comes at a cost. SLR couldn’t experience the stereo effect as good as it feels in the HTC Vive Pro. This is probably because images are much sharper in the Pro. Also, SLR could not find much difference between 5K and 6K videos on Pimax. The same videos were compared on the S8 Exynos GearVR. After experiencing the Pimax, this FOV is just too small, while the image itself looks much better. If they had an S8/S9-style OLED display with high pixel density and natural black it would be a killer product. As it is, the black looks kind of grey. 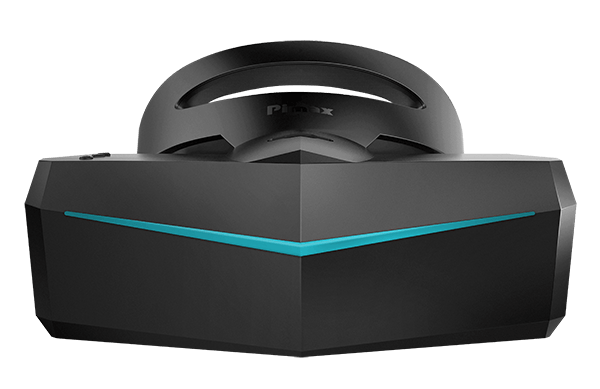 Higher quality video specs have an even better impact in the Pimax. 60Mbps video provides a much better experience than 30Mpbs, which is the current standard. And 90FPS is totally taking over 60FPS. The image is more stable and has fewer artifacts. Again, this is more noticeable because of the bigger FOV. One downside of having a huge FOV is the optical distortion at the edges of the image, noticeable in your peripheral vision when you turn your head around. While it’s a big flaw for the perfectionist, it might be overlooked by someone with a higher tolerance for these minor shortcomings. There is a very small amount of latency that SLR was able to notice because of professional training, otherwise its not noticeable. Another downside is a scaling issue – things in videos watched on the Pimax look bigger than on other headsets. There was a question from Reddit community about using the Pimax while also wearing glasses. Due to the bigger size Glasses and Pimax work together pretty well. And if you have any discomfort you can get thinner padding, according to the founder. Overall, SLR feelt very positive about the Pimax headset. They announced that they will start delivering the latest headsets to Kickstarter backers by the end of the year. If it had better image sharpness it would be a killer option immediately. SLR also tested the Pimax 8K headset with hand tracking. It works absolutely great with no noticeable latency. They have implemented LeapMotion tech into it. And the SLR app works great with it. Make sure to check the scaled headtracking which brings you closer to, and further away from, the action as much as you move your head. The perfect headtracking scale is about 0.2 and 0.3. At 1+ headtracking one slight motion brings you either very close or very far away. SLR would put it in the range of the Vive Pro. You have the option to choose between overwhelming FOV at a lower price, or a higher quality picture in the center at a higher price. Hopefully the next gen headsets will be able to offer both features. The future of VR looks bright – and very promising indeed. Now, we just hope VR producers can enhance their videos accordingly for this next generation of headsets. Previous articleDo You Want To Play Truth Or Dare?